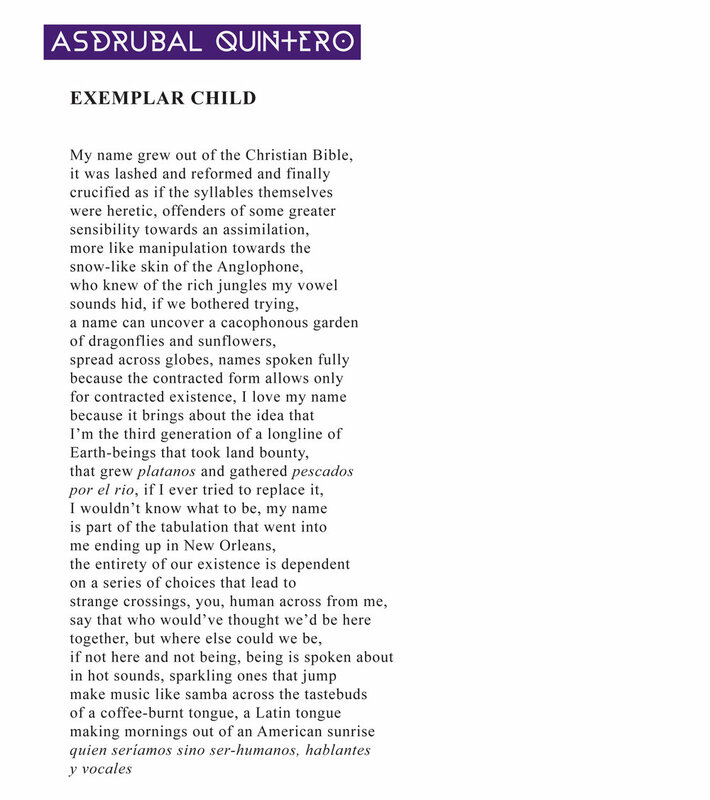 Asdrubal Quintero is a queer Latinx from New Orleans currently teaching fourth grade in New York City. His current obsessions are SZA'S CTRL and Janet Jackson's Control. Find other poems at Cosmonauts Avenue, The Collapsar, Crab Fat Magazine, Birds Piled Loosely and Hinchas de Poesia. Follow him on Twitter @asdrubalaq.